You don’t need to travel far for a little R&R. Rhode Island residents now enjoy 10% off and a $25 food credit during their stay on Sunday-Thursday night reservations. 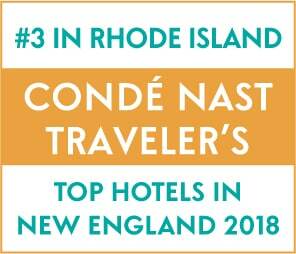 Thanks for voting The Break the Best Staycation in Rhode Island! Package is available now through April 30, 2019 on Sunday-Thursday stays only. Holiday weekends and other blackout periods may apply. Subject to minimum night stays and availability. Package may not be combined with any other offers. Some restrictions may apply. Must book directly with the hotel by phone at 401-363-9800 and mention this special during your call. STAY THE NIGHT! Package includes one night hotel stay, Wine Wednesday admission for 2 (includes 3 tastings with pairing from 6-7:00pm – $30 value), $50 food & beverage credit to Chair 5 and 50% off a bottle of wine with dinner. Package is available now through April 30, 2019 on Wednesday nights only. Holiday weekends and other blackout periods may apply. Subject to availability. Package may not be combined with any other offers. Some restrictions may apply. Tax & gratuity not included with Chair 5 credit. Must book directly with the hotel by phone at 401-363-9800 and mention this special during your call. The off-season is an ideal time to visit Narragansett. Restore your spirit at our vintage-chic boutique hotel, centrally located to nearby beaches and 20 minutes from Newport. 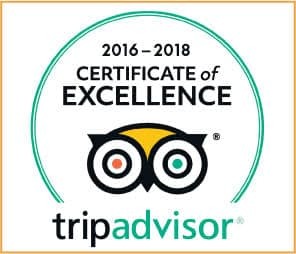 Enjoy our year-round heated saltwater pool, fireplaces in every room, sunset ocean views on our rooftop, and Chair 5, our highly-acclaimed restaurant. The longer you stay, the more you save! Stay one night, get the second night 20% off… Stay two nights, get the third night 30% off… Stay three nights, get the fourth night 40% off. Package is available October 15, 2018 through April 30, 2019, on Monday-Thursday stays only. Holiday weekends and other blackout periods may apply. Subject to minimum night stays and availability. Package may not be combined with any other offers. Some restrictions may apply. Must book directly with the hotel by phone at 401-363-9800 and mention this special during your call. Coming to or from the island, staying for pleasure or business, visiting the local lighthouses or learning to surf, you’ll find our pampering amenities and onsite facilities enable you to stay at your own speed. 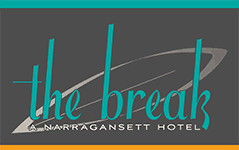 The Break Hotel is a perfect spot to relax and unwind with year-round heated saltwater pool, year-round restaurant, micro-spa, rooftop lounge, and in-room fireplaces. Receive 10% off for stays on Sunday through Thursday. Valid only October 15, 2018 through April 30, 2019. Holiday weekends and other blackout periods may apply. Subject to availability and minimum night requirements. Must present your current identification card with Block Island residency at check-in. May not be combined with any other discount or promotion. To receive the discount, you must book directly with The Break via phone at 401-363-9800 and mention you are from Block Island when you call to book. To show our appreciation for those who serve (and formerly served) our country, The Break is offering 10% off midweek stays (Sunday-Thursday) for all active and retired military personnel, veterans, and their families. Offer valid October 15, 2018 through April 30, 2019 on Sunday-Thursday stays only. Holiday weekends and other blackout periods may apply. Subject to availability and minimum night requirements. Valid only for guests with valid US or Canadian military ID including active duty, reserve, and retired service members and their spouses and families members sharing the same room. Must present your current and valid military identification card at check-in. May not be combined with any other discount or promotion. To receive the discount, you must book directly with The Break via phone at 401-363-9800.